Transport and present your work with this gray Bex 14 x 11" Screw Post Binder (Landscape Orientation) from Pina Zangaro. 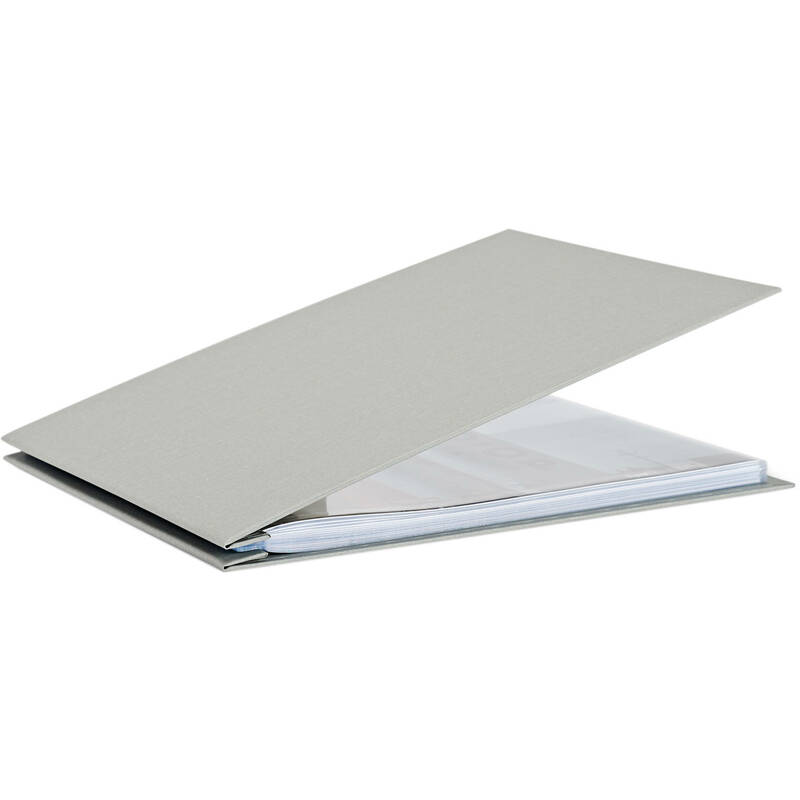 This archival-safe binder has covers made of binder board and cloth that are simple and easy to clean. Instead of a traditional spine insert, screw posts are used for binding, which makes it easy to add or remove pages when necessary. This feature makes the binder suitable for artists and other professionals who are constantly changing their portfolios. Included with this product are 20 top-loading sheets made of clear, archival-grade polypropylene. They are scratch resistant and feature a non-stick finish to prevent adhesion to your work. Also included in the package, the screw posts accommodate up to 25 sheets for a total of 50 sides. This capacity can be increased with the use of extensions that are available separately. Made in the USA, the binder fits work as big as 14 x 11" in landscape orientation.